The South Carolina House recently passed legislation to improve the health and well-being of women, infants, and families in our state. This bipartisan bill aims to increase uninterrupted access to contraception and decrease unintended pregnancy. Approximately 50% of all pregnancies in South Carolina are unintended. Unintended pregnancy leads to negative health outcomes for women, infants, families, and society. In addition, unintended pregnancies in our state resulted in a public expenditure of $84 million in 2010. By providing women with access to a 12-month supply of birth control, this bill removes a significant barrier to women’s consistent use of birth control. Approximately 41% of all unintended pregnancies are attributed to inconsistent use of contraception. Research shows that one in four women missed oral contraceptive pills because they were unable to obtain the next pack on time. As Director of the Women’s Health Research Team, through our research studies, we have conducted interviews and focus groups with hundreds of women in South Carolina. These women described struggling to refill their birth control prescriptions on time every month. Barriers to consistent contraceptive use include transportation challenges, changing work or school schedules and moving or leaving the area periodically. These struggles are exacerbated for women who live in rural areas. 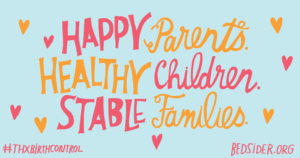 The U.S. Centers for Disease Control and Prevention (CDC) recognize family planning as one of the ten great public health achievements of the twentieth century. According to the Guttmacher Institute, approximately 99% of all women in the United States have used at least one method of contraception. If a woman plans to have two children, she will need to use some form of contraception for up to thirty years. Family planning improves maternal and infant health, enhances family and community well-being, and offers societal benefits. Contraception empowers women and increases access to educational and professional opportunities. Research shows that insurance plans covering a 12-month supply of prescribed self-administered contraceptives at one time (such as the ring, the patch and oral contraceptives) increases access to contraception and decreases unintended pregnancy. Inconsistent contraceptive use is a major cause of unintended pregnancy and research shows that a greater supply of hormonal contraception improves continuation rates According to the Kaiser Family Foundation, providing a 12-month supply of contraception resulted in a 30 percent reduction in the odds of unintended pregnancy. Insurance companies shouldn’t hold birth control hostage. Reducing unintended pregnancies offers a financial benefit to employers, insurance companies, and the health care system. The National Business Group on Health found that not providing contraceptive coverage in employee health plans increased the cost to employers by approximately 15% in 2000. Nationwide, employers spent $8.2 billion to provide insurance coverage of hospital care related to pregnancy and delivery of unintended pregnancies in 2008. Birth control pills are among the most well-studied medicines on the market today, and decades of research and experience show they are safe – even for over-the-counter use. In fact, the American College of Obstetricians and Gynecologists (ACOG) recommends that oral contraceptives should be available over-the-counter. A broad coalition, led by Ibis Reproductive Health, is working to secure FDA approval for an over-the-counter birth control pill (www.freethepill.org). Recently, a number of large cohort studies revealed reduced rates of cancer among women who had ever used hormonal contraception and lower overall risk of death among current and past users of hormonal contraception compared with nonusers. In other words, not only is hormonal contraception safe, it offers health benefits to women. Studies show that hormonal contraception treats or prevents: heavy menstrual bleeding; painful menses (dysmenorrhea); premenstrual syndrome (PMS); acne; pelvic inflammatory disease; polycystic ovarian syndrome (PCOS); fibroids (myomata) of the uterine wall; endometriosis; and colon, ovarian, and endometrial cancer (www.contraceptivetechnology.org). 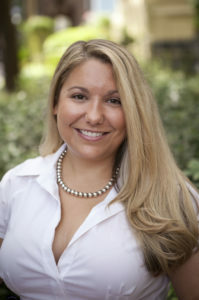 Beth Sundstrom, Ph.D., M.P.H is an assistant professor of communication and public health at the College of Charleston in Charleston, South Carolina. She is the Director of the Women’s Health Research Team (WHRT) and a member of the graduate faculty. Dr. Sundstrom is the author of Reproductive Justice and Women’s Voices: Health Communication across the Lifespan (2015).